Tom was born in Quorn South Australia in 1974. His interest in art began at a young age, developing his artistic skills throughout his school years. Tom worked as a mural artist in his early twenties. He gained valuable experience working on mural commissions in Queensland and South Australia. 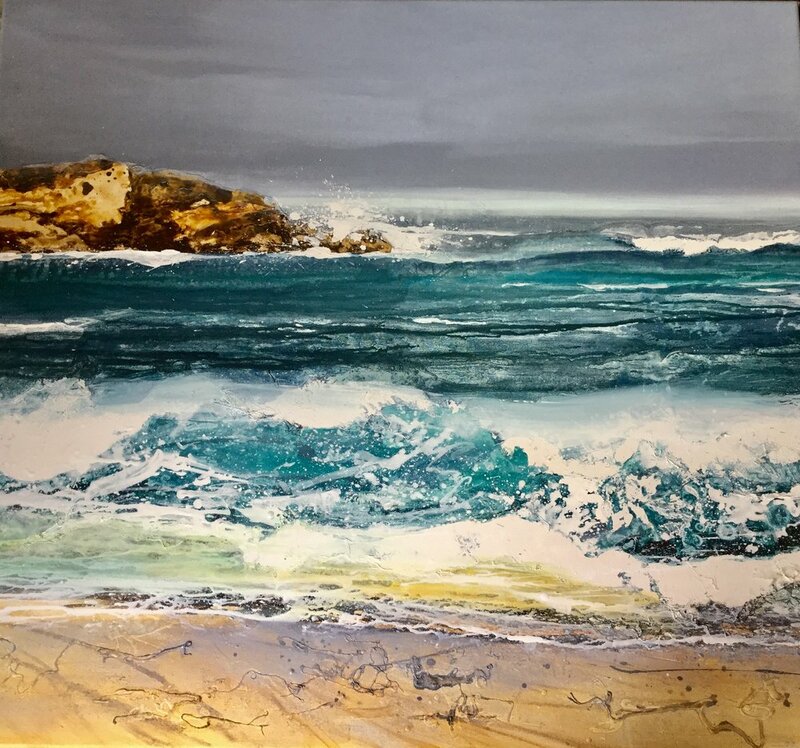 Settling on the Sunshine Coast in Queensland, Tom worked on canvas and spent twelve months painting the surrounding coastline and national parks of the Noosa region. He held his first exhibition in 1997. In this time, Tom met his future wife, Kate, and together they moved back to South Australia where they have lived and raised their two daughters for the past 20 years. 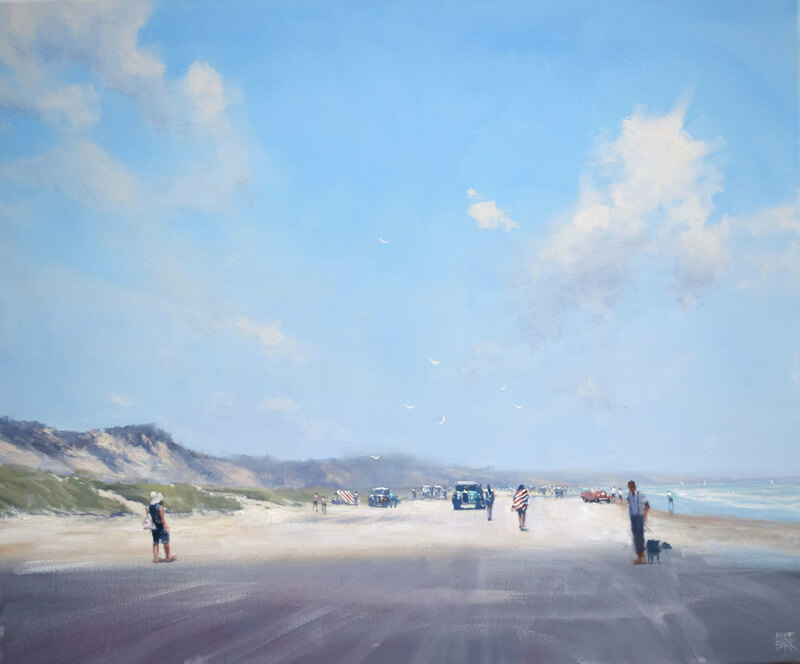 Working in oil on canvas, Toms light filled coastal images, still life paintings and Australian landscapes have been recognised and awarded numerous prestigious art prizes, most notably, twice winning best of show at the Camberwell art show in Melbourne (2007 and 2009). Other Camberwell art show awards include best Australian landscape (twice) and best still life (twice). Tom is also a three times winner of the Victor Harbor art show. As a painter of light and form, Tom’s subject matter is wide and varied. His passion for coastal vistas and landscapes also extends to his still life and native bird paintings, coastal flora, industrial landscapes, and his more recent bark and flame series of works. Tom's work is in collections throughout Australia and overseas, with paintings in Dubai, USA, Canada, Vanuatu, Shanghai and Switzerland. After using watercolours and acrylics to paint his impressionistic landscapes for 20 years, John took the leap and switched to oil paints. This move was exceptionally well received both by art critics and art investors, earning John highly coveted awards for his works. 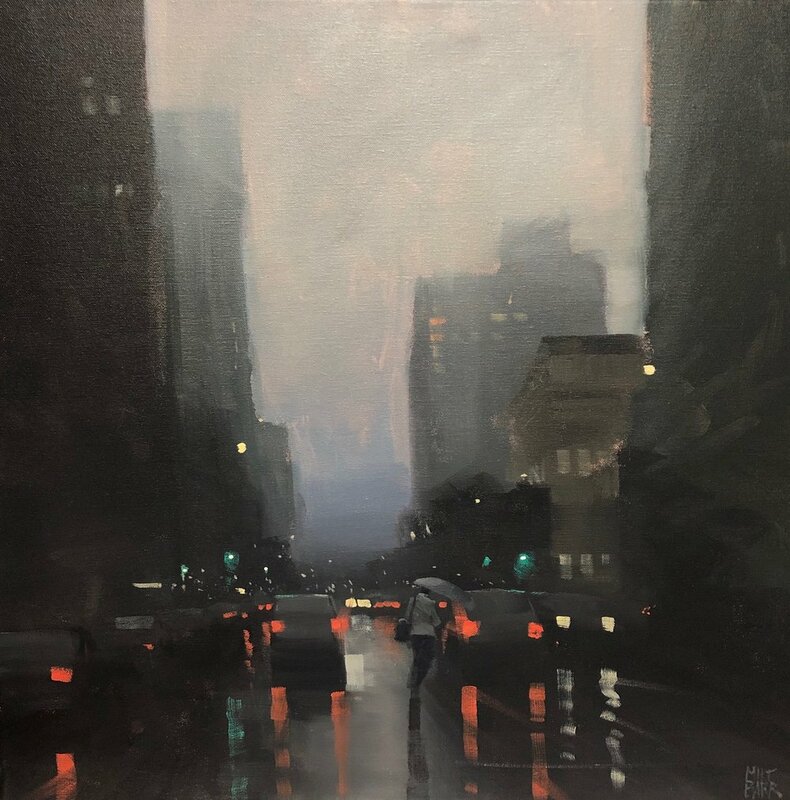 John masters a wide range of styles: from impressionistic landscapes to contemporary interpretations, of the world around him. When capturing the landscapes which he translates so elegantly onto canvas, John uses ‘en plein air’ studies (painting while outdoors). He goes to the site and does a series of small oil paintings. These assist him in creating larger pieces in his studio, where there is less danger of harm coming to his work. John’s work attracts both Australian and International purchasers. 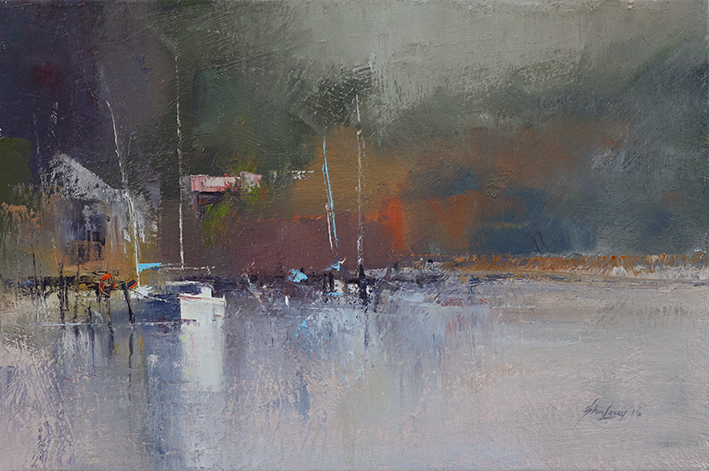 He has gained a highly respected reputation as an Australian landscape artist with his work in high demand. "It may have been the spectacular pairing of mid sixties' Marvellous Melbourne combined with my parents' unique genetic blend, which brought to life a dynamic instinct in me to project paintings from my inner gallery into the world at large." 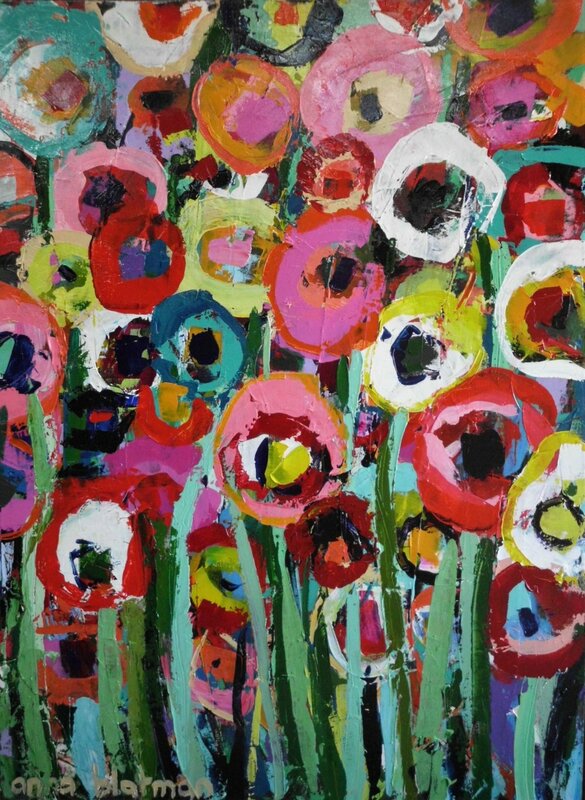 Growing up with an artist in the family, Anna Blatman has been inspired to paint for 28 years . 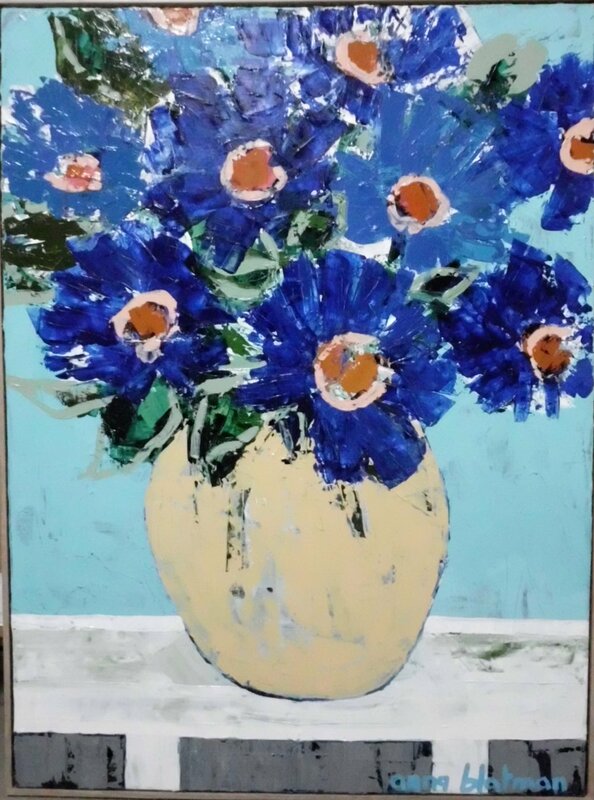 Her love for flowers and colour has led her to forge a career in painting the subjects that she is most passionate about. Much of her inspiration comes from her garden producing works full of vivid, tactile and textured flowers. Tone on tone layering with strong pigment use achieves her desired finished effect. 'Being in my garden inspires me, the panoply of beautiful Australian flora - and the light playing off them, this essence translates directly into the textural nature of my paintings - layering tone on tone, to resemble the 'radiant dance' which is life. I think texture and layering is important when works are to be hung in a domestic setting - as this allows for the multiplicity of ways to view them. "May Your Life Be Full of Colour"
David Chen was born in China and holds both Bachelor and Masters degrees in Fine Arts. He also holds a Graduate Diploma in Arts Education. David taught Fine Art in University for several years in China and in 1988 he was appointed an editor at the Peoples Fine Art Publishing House in Beijing where he edited several art magazines. In 1989 the French Embassy in Beijing invited him to hold a solo exhibition, however the exhibition was cancelled and his work was banned as he endured the difficult political climate in China after the events of june 4th, 1989. He later re-emerged as a respected artist and went on to win national and international acclaim .He was selected to participate in the ’100 Famous Chinese Artists’, a worldwide traveling exhibition in 1991. In 1992 he won the Silver Hawk Award at the Fourth International Art Contest, Nice, France. David arrived in Melbourne in 1993. He was invited to be part of the Hydra Art Group that was founded by the Australian Government and the Art Council. Since coming to Melbourne, David has worked as a fulltime artist and has held numerous solo exhibitions as well as conducting various painting workshops . 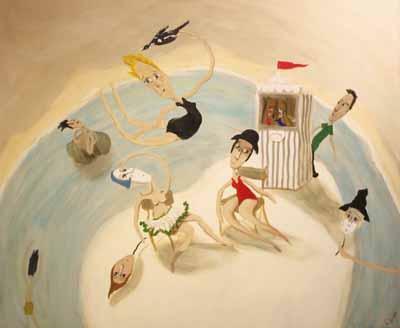 In 1994 his work was exhibited at the National Gallery of Victoria and in 2000, one of his beach paintings was selected to be hung at the United Nations Conference. David's work is represented in private, corporate and municipal collections both in Australia and overseas. Inquiries welcome as to current David Chen pieces available from The Gallery. Inspired by people above everything else, Iroda came from a fairly modern Uzbek family who did not discourage her love of art. When young, her father loved the outdoors and painting, but being the only son was discouraged from an artistic career by his family. Instead he became a geologist and then studied for a higher degree in St Petersburg. Iroda spent time there and it is the colours of the north, and of autumn when she was born that are her favourites – softer, muted greys for example, rather than the bright Asian colours predominant in Uzbekistan where she grew up. Like her father, Iroda always loved art. Although good at academic subjects, nothing mattered much for her except art. Iroda attended art college in Tashkent for four years. Her school recommended that she apply for university in St Petersburg but she lacked the confidence to apply at that age without her father’s assistance. One teacher told her that she would be the best artist in Uzbekistan if only she were a man, and that she painted “like a man”. She spent a further six years studying art at university in Tashkent, coming third over the entire USSR for her final diploma artwork and thus winning the bronze medal for her year. Her rigorous art education is reflected in her works as well as the values of persistence and hard work. Being female, Iroda was expected to become a teacher rather than a practising artist. 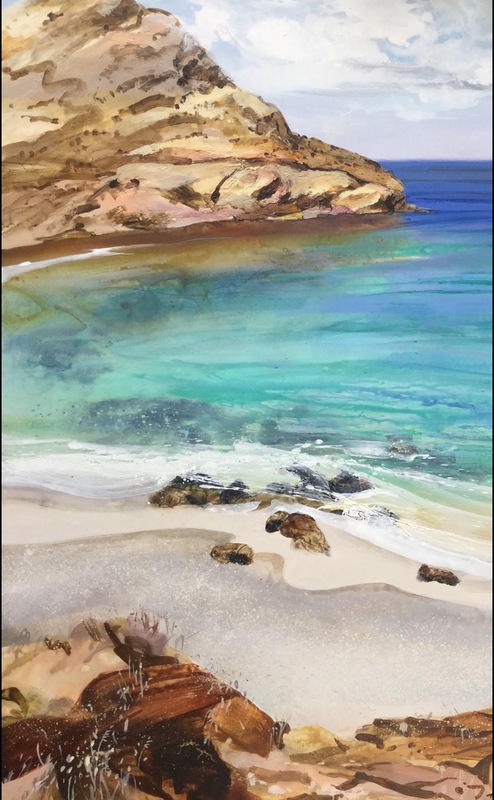 After graduation, she spent one year teaching watercolour and still life to first year university students while concurrently studying for the first year of a Masters Degree, before coming to Australia at the age of twenty-five with her husband. Iroda spent time in Sydney raising children, learning English, and studying at the University of Western Sydney for a Bachelor’s degree in secondary education. She also obtained a building licence so that she could assist her husband with his business, worked as a translator (she speaks Uzbek, Russian and Ugui as well as English), and began putting works in small exhibitions. He is a confident, energetic artist who uses vibrant colours for his vigorous interpretations. They capture the glowing earthy yellows and oranges of the land and mountains, the ephemeral purples, aqua and blues of the sky and lagoons and they reflect the uniqueness of the terrain, the changes of the day and seasons and one can feel he has connections and awareness of the indigenous myths and legends of the land. Peter makes regular artistic treks to favourite destinations in Australia and overseas. 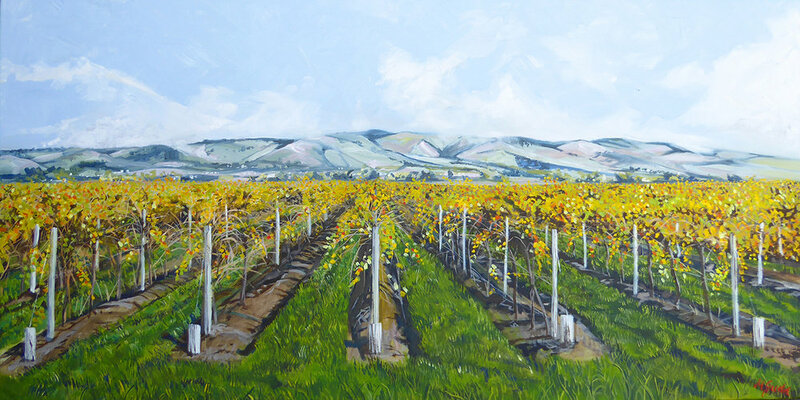 The knowledge gained of a particular area clearly assists in capturing the essence and feeling of the land as well as the colour and spirit of the place and from these journeys Peter produces several series of work. He began a career in graphic arts excelling and winning awards in the fields of Silk Screen Printing and Signwriting but his passion and demand for his paintings eventually saw him become a full-time professional artist. He has been painting for nearly 40 years, held over 60 Solo Exhibitions and participated in numerous group shows, one in particular was a major Australian exhibition held at the prestigious Kubo-Kuxta Gallery in San Sebastian, Spain. He served two terms as Vice President of the Royal South Australian Society of Arts, lectured on his art and been a participant, advisor and curator of exhibitions in Australia, Malaysia, Hong Kong, Japan and the U.S.A.
Peter is also well-known to Film audiences as he was commissioned by internationally acclaimed Australian Film Director, Rolf de Heer, to paint 14 large canvases which appear as static scenes in the Award Winning film 'The Tracker'. (A main feature of the Adelaide Festival of Arts 2002 and the 51st Melbourne International Film Festival, also selected to participate in numerous International Film Festivals). The inclusion of original artwork in this way was a first for an Australian feature film and the process taken and images of these paintings are published in a Book and can be seen on a Documentary appearing on the DVD of the Film. Peter has also produced several documentaries which record his career in travel and painting. Peter's paintings reveal to us landscapes of harsh yet breathtaking beauty as he skilfully blends symbolic interpretations of mountains, wetlands, vegetation and bird life in an endeavour to convey an awareness of the delicate balance of the environment. The real talent behind award-winning artist Mike Barr is extracting positive emotions from viewers. He does so with a style that does not tell the whole story, preferring to invite people in to be a part of the scene. He coaxes involvement and feelings of being there both in his beach work and rainy-day street scenes. 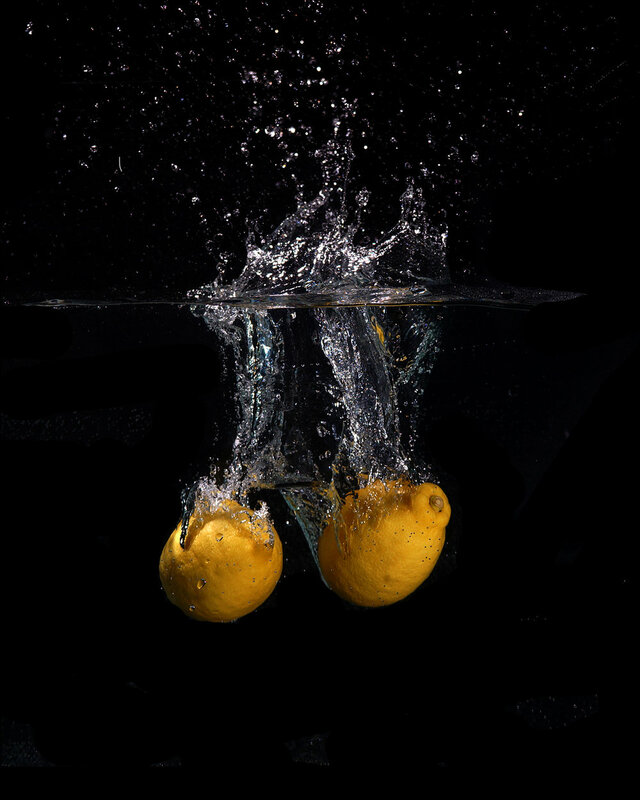 A regular exhibitor with Artworx, Mike also writes for various art publications both here and in the UK and USA. He has also contributed to the books, The Art of Being Melbourne – Maree Coote - 2012 and the Surf Collection by French surfing guru, Gerard Decoster - France 2009. His awards from Australia and overseas include 16 Best In Shows, 9 Peoples' Choices and 11 Best In Category awards. Recently Mike won the prestigious Corporate Award at the 2016 Victor Harbor Rotary Art Show. 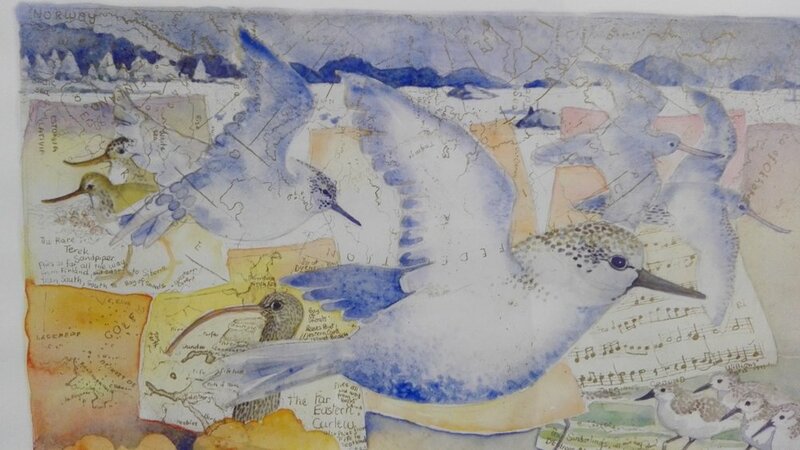 Wildlife has been an inspiration to Graeme Townsend for over two decades, and his paintings and drawings reflect his love of the natural world and the visual treasures he finds there. His recent work continues to explore the issues arising in the meeting of man and nature - man’s impact on the environment and how nature has responded to that impact. 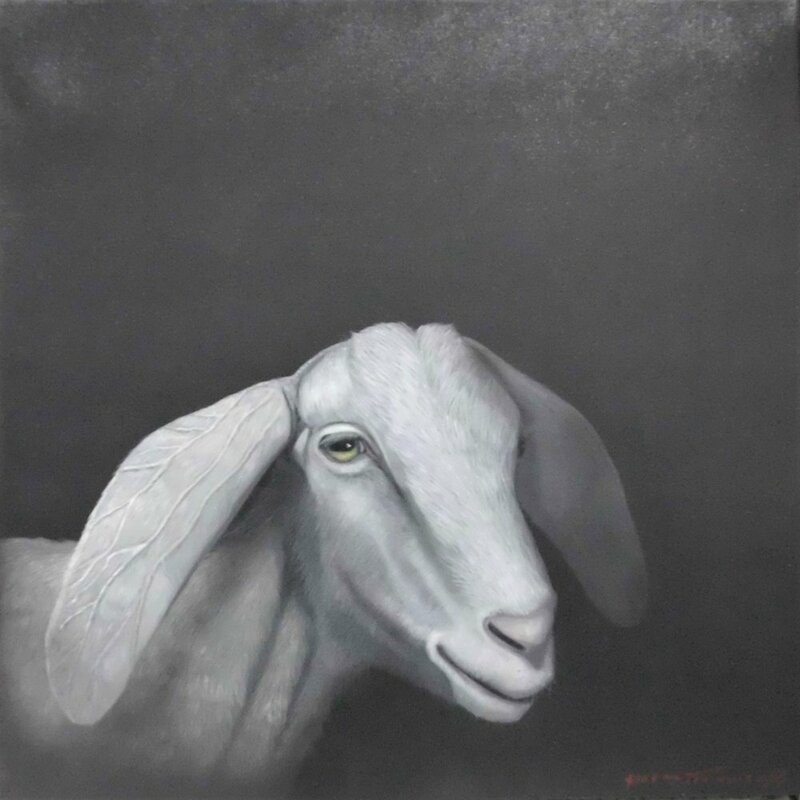 “My current work depicts how we have harnessed various animals over the years to do our bidding. Other works depict the mythology that we assigned to certain animals. There are references to where we came from such as the primates dreaming of reaching the stars and man’s deep desire to fly, surely a desire we must have had as far back as mankind was able to wonder at the freedom of a bird.” Graeme draws on fantasy and surrealism and takes inspiration from the works of Belgian surrealist, Rene Magritte, and German romantic and allegorical landscape painter, Caspar David Friedrich. 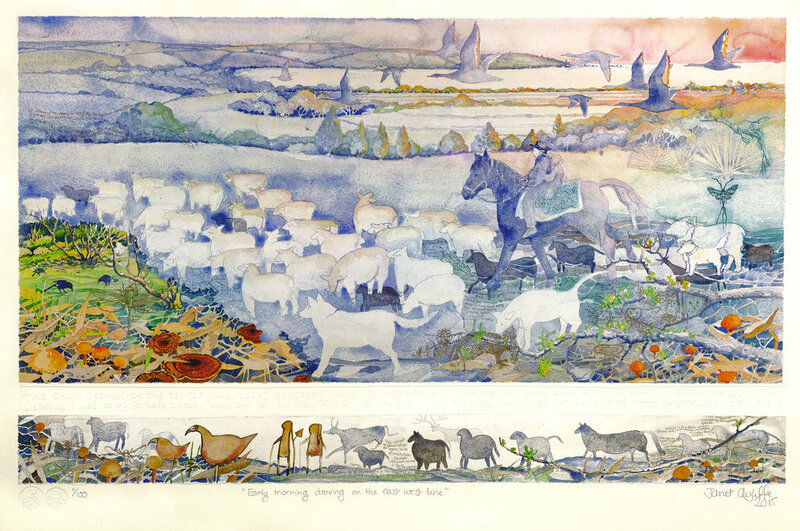 A multitude of animals inhabit his landscapes of possibilities - each work a part of a bigger story - like illustrations accompanying a rare book of fables. The fine detail is mesmerising; a pigeon’s wing feather, a water droplet on a leaf, a distant cloud. We are immediately drawn in by the pristine surfaces of the paintings, then compelled to weave the fragments of information into stories for ourselves. Graeme Townsend was born in Sydney, and studied at both the Julian Ashton School and Alexander Mackie College. Since 1979, Graeme has undertaken painting and photographic expeditions to Borneo, Africa, Asia, America and outback Australia. In 1991, he was a lecturer in acrylic painting at the Julian Ashton school and has had many solo exhibitions in Sydney, Melbourne and Perth as well as the USA, Japan and Hong Kong. His work has been hung in the Sulman and Wynne prize exhibitions at the Art Gallery of NSW. Hogarth Galleries, Sydney The Sydney Gallery, Sydney 1972 Willoughby Galleries, Sydney. Katie’s artistic flair is best expressed in large format impressionist pieces that are heavily textured, impasto works, based on her own experiences, memories and photographs. Katie’s graphic design background is evident through her solid compositions and strong colour contrasts. She skilfully drips and layers paint onto the canvas to tell a story, with the final images evolving, sometimes subconsciously, from these layers. Katie explores form and line using texture, allowing shapes to unfold from the thick and generous application of impasto and paint. The light is reflected and emphasised from the sculptural effects created by the textured finish. The final stage of varnishing evens out the surface and increases the colour saturation of her work. Katie’s large-scale portrait of Barry Humphries recently received positive media coverage in The Advertiser, while her many awards and exhibitions speak volumes about her talent. Using predominately pastel and acrylic, my work is a reflection of all the daily influences in my life, from the little birds and bush that surround my studio, to the rolling hills that lead me to the sea. As art and life become entwined, I find myself seeking balance, harmony and excitement in both while maintaining clarity and integrity. Reflection on a representational work leads me to abstraction, as I search for the best way to describe a scene or idea. At this point often a phrase or song will come to mind and the painting begins to take form. My professional career began as an interior designer. I subsequently set-up my own interior design company in Singapore, where I ran the consultancy for 20 years before moving to Adelaide, with my family, in early 2007. I later attended watercolour painting classes at La Salle School of the Arts in Singapore, where I learnt from some of Singapore’s most eminent watercolour artists like Ng Woon Lam and Seah Kam Chuan, who is the president of the Singapore Watercolour Society. In 2004, I was elected a member of The Watercolour Society of Singapore. During the years I spent running my company in Singapore, I continued to pursue my passion for painting, especially with watercolours. I contemplated the idea of working as a full time watercolour artist. With this in mind, I embarked on painting trips around Asia. Many of my works were displayed in Singapore galleries and exhibited at art shows in Singapore and abroad. After migrating to Adelaide I entered a number of Rotary art shows and when I won my first major prize, it gave me the confidence to express myself in this wonderful medium. I am captivated by the Adelaide streetscapes and rural landscapes, as well as the stunning colours of the Australian bush. 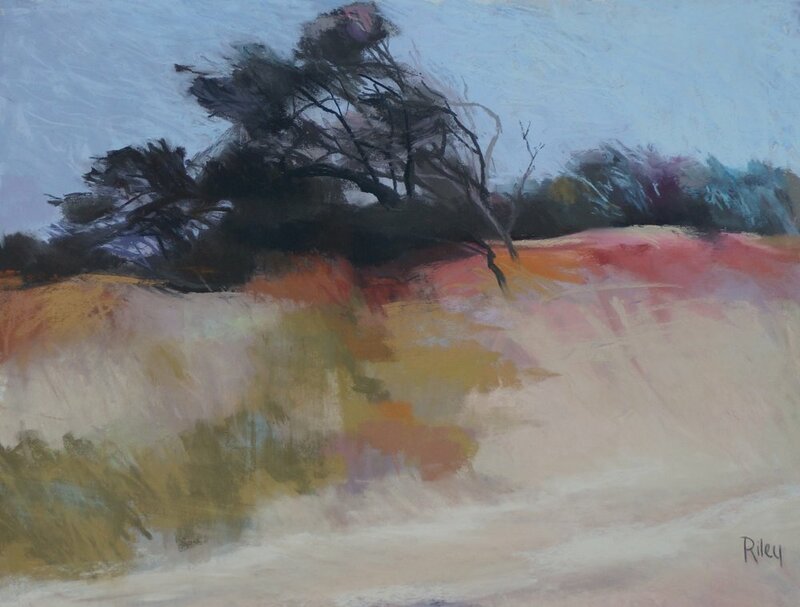 I have developed a love of the Flinders Ranges and have exhibited many paintings of that area. I joined the Royal South Australian Society of Arts in 2008 and have been a Fellow member since 2009. 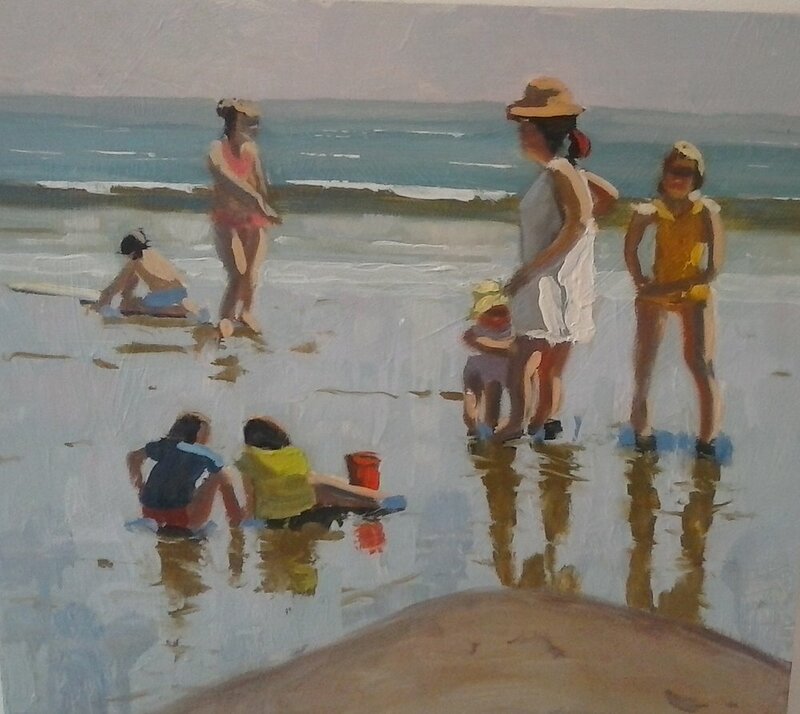 In 2014 I tutored one of the Society's summer school workshops. The friendships I have formed and the guidance I have received from fellow Society members have been invaluable to me. 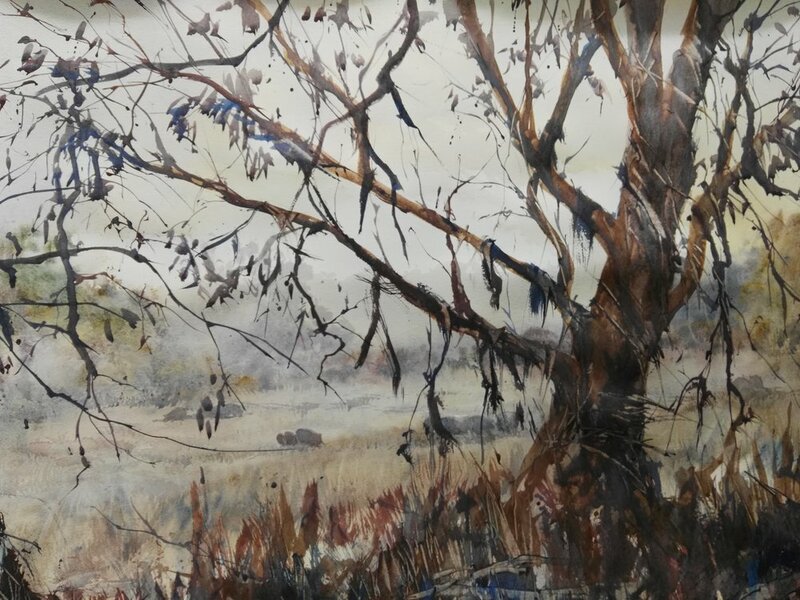 I am also a member of the Singapore Watercolour Society, the South Australian Watercolour Society and the Red House Group - Gallery M. I was a member of the Painters of the Flinders Ranges. In2008 I decided to share my knowledge and love of watercolour painting by conducting classes. It gives me great pleasure to help students explore their creativity and understanding of the techniques of watercolour. I also conduct regular workshops and demonstrations. Painting is my way of expressing how I appreciate life and the beauty that I see even in the most ordinary every day things. Whatever I am painting, I derive immense joy and satisfaction from being able to freely express my own interpretations of what I perceive, guided by my emotions and innermost feelings. The spontaneity of watercolour never fails to surprise and delight. I have been fortunate during my professional art career to have won approximately 51 awards, prizes and commendations, and I have participated in 12 solo and joint exhibitions. Lorraine Lewitzka was born in 1952 and spent her adult life in the commercial art fields as a fashion and illustrative artist in black and white, after a childhood of constant observation, drawing and painting. 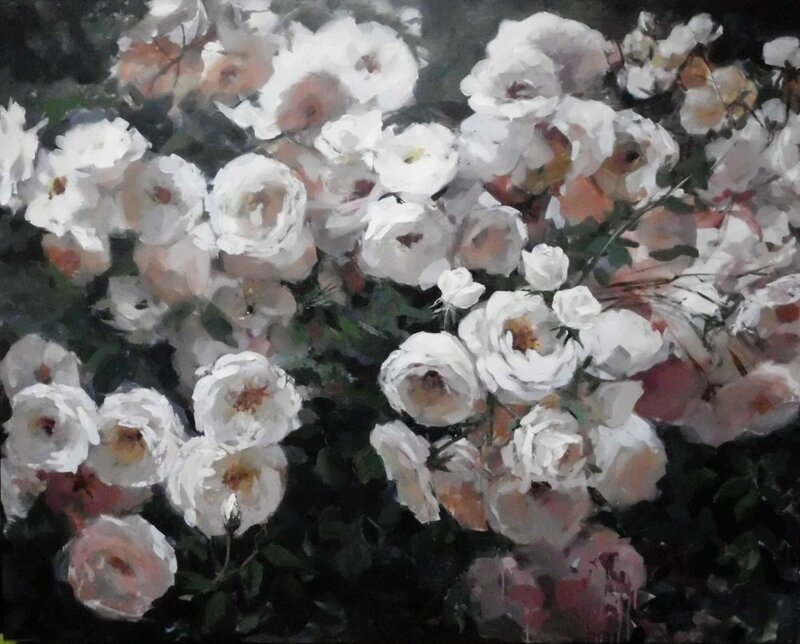 In 1986, with the encouragement of her Late husband, Terry, she began to explore the medium of water colours and four years later she was tutored in water colour in the US before continuing her art education at the Slade School of Art, London, where she discovered a new medium in oils in life painting. On her return to Australia in 1991 Lorraine staged her first exhibition, with good success. 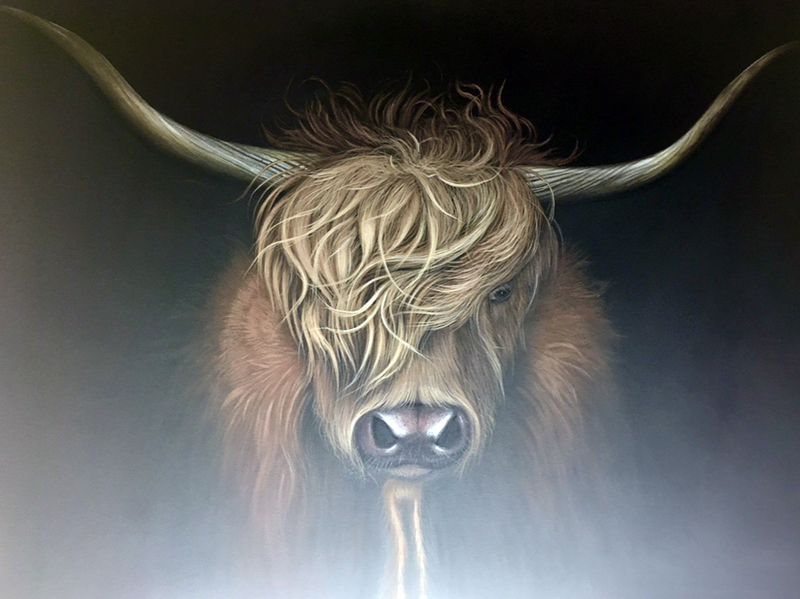 She concentrates on traditional and contemporary still life, figurative subjects and commissioned portraits. Mark has been practicing art for most of his adult life as a self-trained artist. He works in painting and sculptural assemblage. 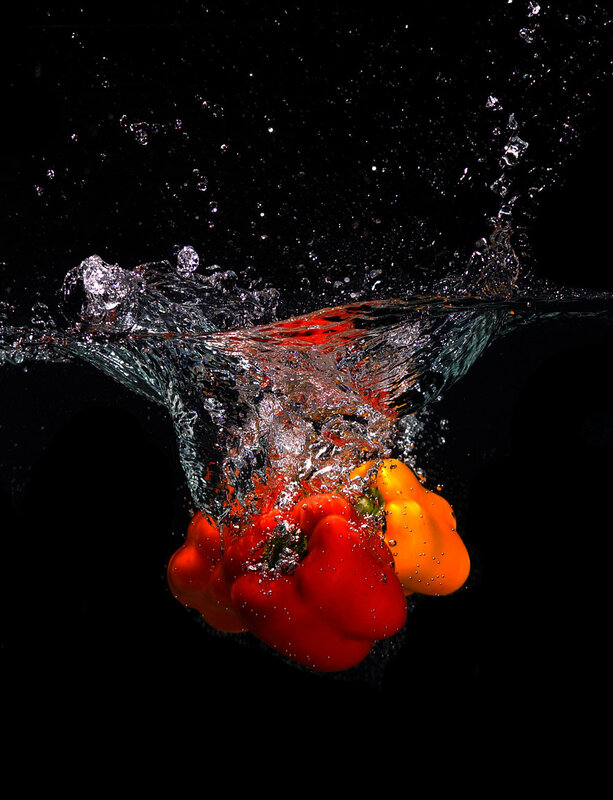 Although not driven by any one subject, Mark tends to revisit, the sea, urban and industrial landscapes and food as his main themes. He has been a finalist in the prestigious Fleurieu Art Prize on six occasions including 2016 and a finalist for the Waterhouse Natural Science Prize also in 2016. 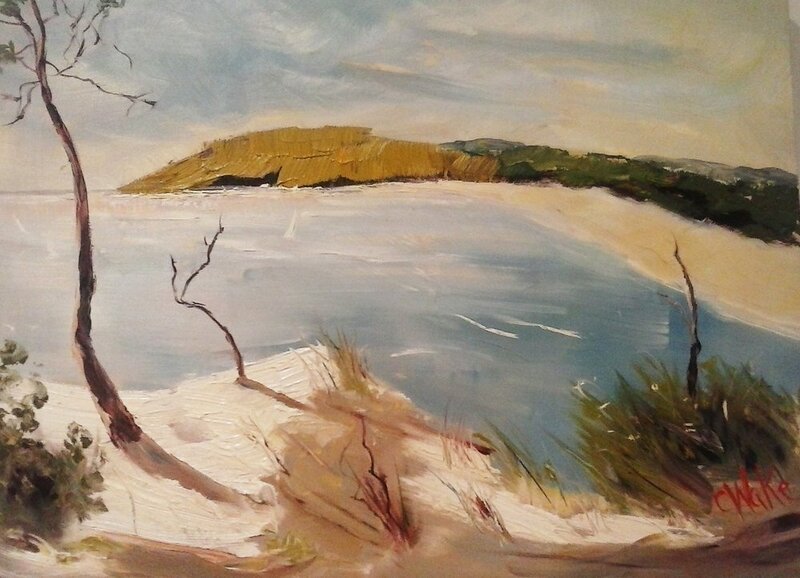 Victoria Rolinski was born in Adelaide and grew up at Henley Beach South where she still resides today overlooking the beautiful local coastline. 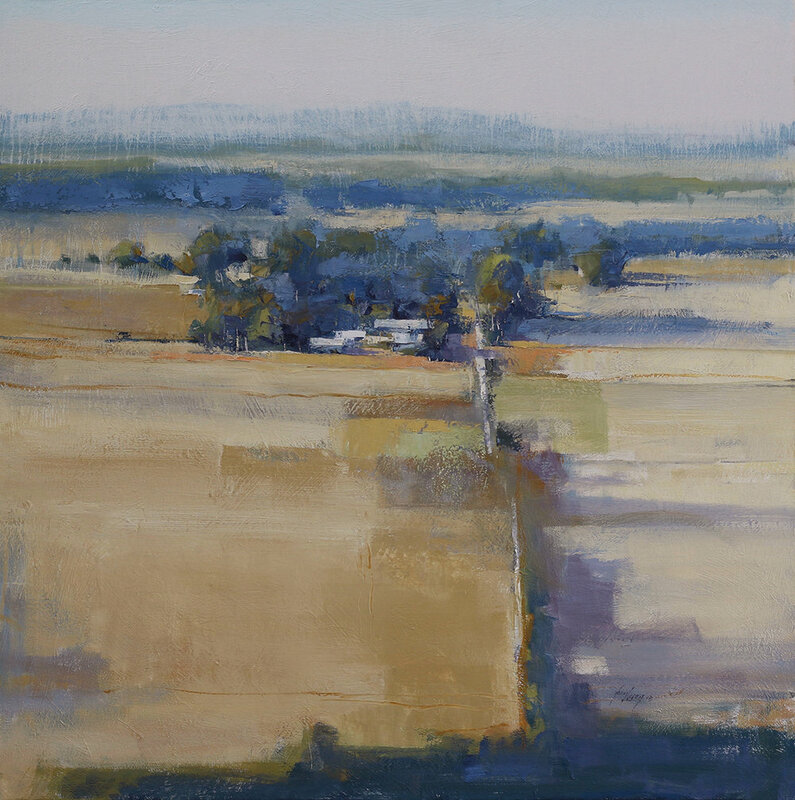 Victoria has an inherent love of our great Australian landscape that can be seen in her impressionistic paintings. 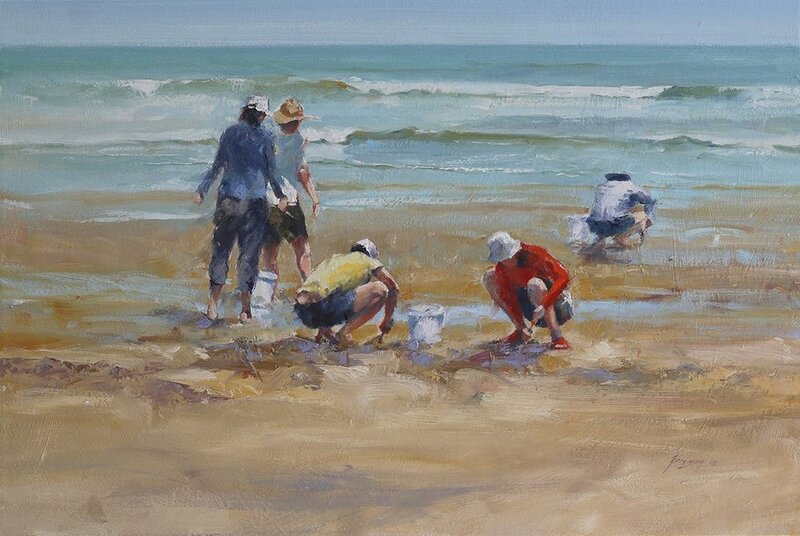 She relishes painting the sand dunes along the coastline of our great State of South Australia and has empathy with coastal protection and conservation of the dunes. “Painting plein-air is the most rewarding and enjoyable way of painting. I have a heightened awareness of everything around me including perspective, light and atmosphere,” she says. Victoria believes the infinite beauty of nature is only revealed when painting outdoors. “I want the painting to feel spontaneous and of the moment. Brushstrokes to be instinctive, spirited and textural. This is easier to achieve outdoors where there is a greater urgency because of the constraints of time, light and weather. I strive to paint with an observant eye and a loose hand!” Her greatest reward is the warmth of the viewer’s response when they see her work, which she hopes translates and expresses her feelings towards our beautiful country. Art has always been a passionate interest. Victoria was chosen as the first female cadet employed by the S.A. Police Department, joining as an artist at the age of 18 years and later becoming a Police Officer. Victoria now works as a full-time artist and has had great success in her exhibitions. Her work is represented in many public and private collections throughout Australia and she is heartened and encouraged by the response and the accolades received in appreciation of her work. For Adelaide based artist, Eliza Piro, a four-month stint in India in 2003 changed her life forever. Previously a ‘sometime’ painter who also dabbled in photography, it was during this inspirational experience on the Indian subcontinent that Eliza decided to devote herself entirely to painting full time. Arriving home full of new ideas and motivation, Eliza hasn’t put the brush down since and her unique style continues to develop to this day. 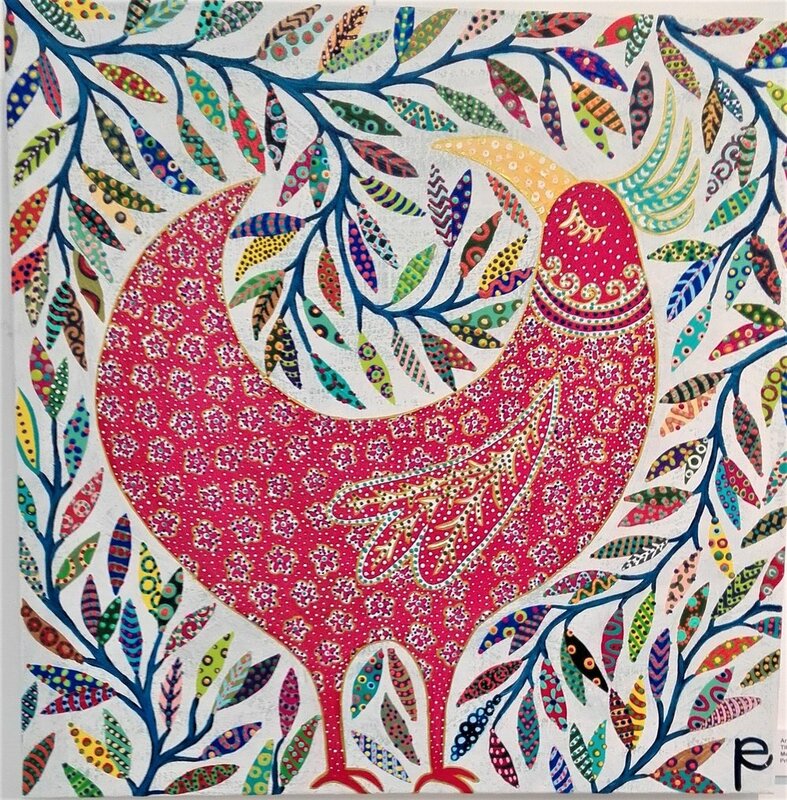 Influenced by the rich and colourful tapestries and textiles of India, Eliza’s paintings are bold, lively and beautiful. 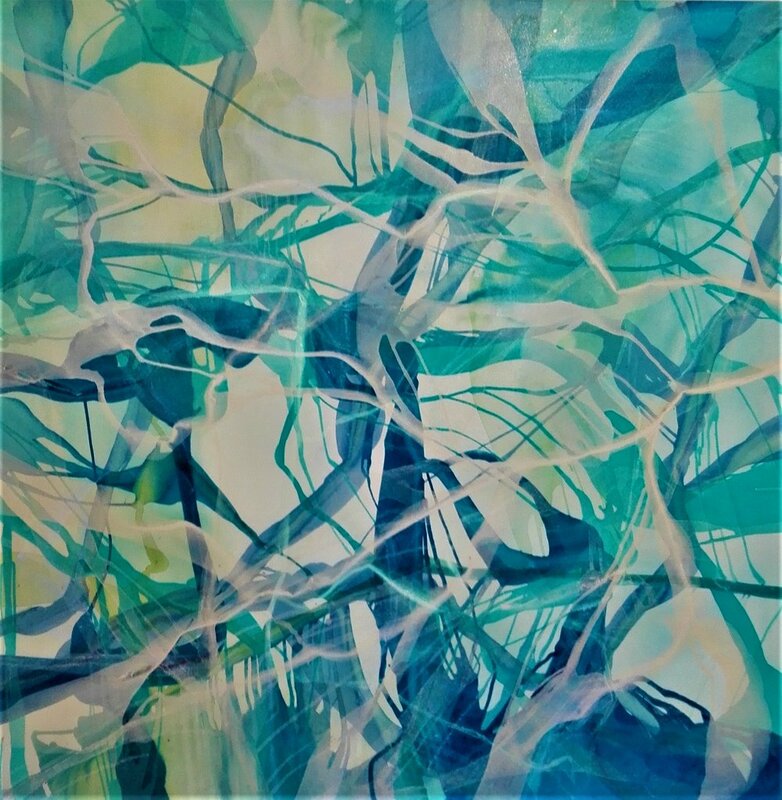 Predominantly about nature, Eliza’s paintings feature elephants, birds, fish, flowers and trees, comprising a vast array of vibrant colours and patterns. Her favourite subjects convey messages of hope and happiness. Trees symbolise life while the animals, particularly birds, signify freedom and peace. 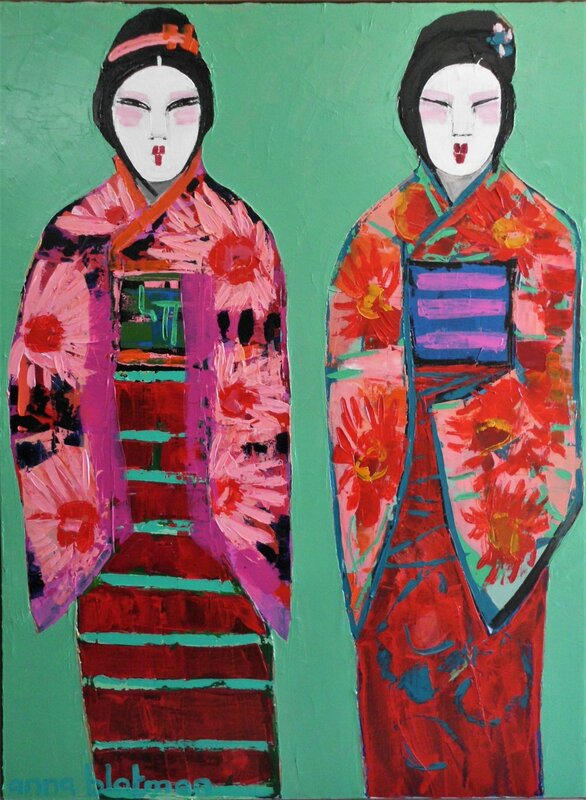 When these elements are combined together, Eliza’s paintings evoke feelings of optimism and joy. Eliza’s profile has grown considerably since 2007 when she began to be showcased regularly in galleries across Australia. Her appeal can be attributed to the fact that her artwork suits both contemporary and traditional homes as well as offices and that her magical paintings resonate with a wide audience. Eliza Piro grew up in South Australia’s Clare Valley and now lives in Adelaide with her husband and three children. 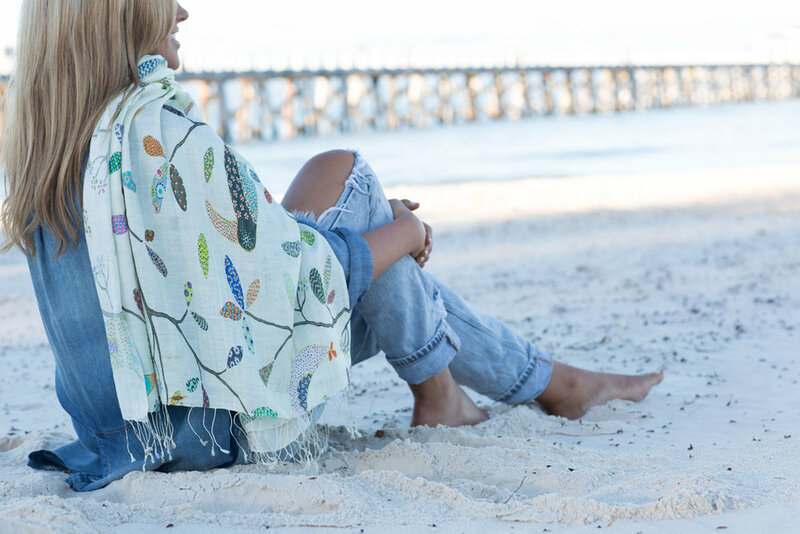 Eliza also has a range of beautifully printed scarves and gift cards available and on display in The Gallery including her 2017 Winter Collection. Janet was born and lived for eighteen years on Kangaroo Island, later moving to the Adelaide Hills. She graduated in 1972 in Fine Art Painting from the South Australian School of Art and has been a printmaker, painter and teacher for over 20 years. In that time, she has developed a highly original style. A pioneer of solar plate etching (Photopolymer) techniques as well as multiple plate work, she produces art that is both accessible, deeply complex and at times mystical. 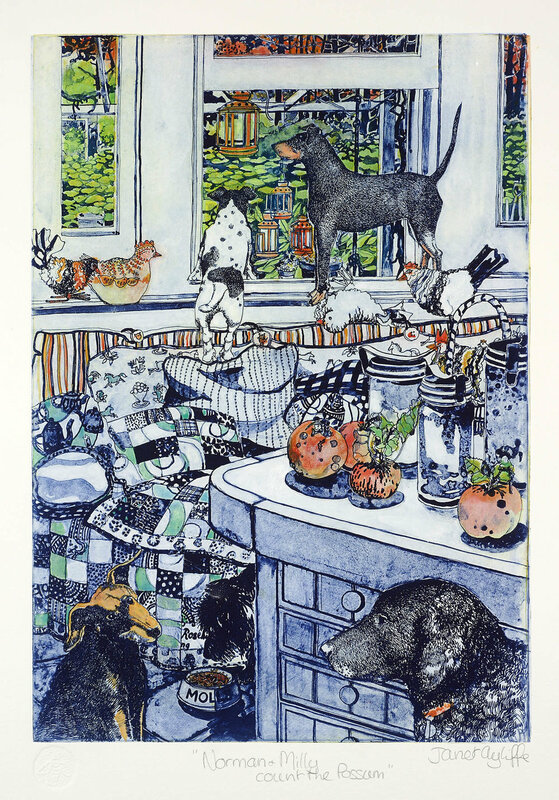 Janet’s etchings often involve the use of multiple plates carrying different colours, as well as incorporating chine collé, archival digital and hand painted elements. Her imagery is drawn from her inner world, her family, the surrounding landscape of the Adelaide Hills and her childhood home on the Island. She looks into the natural world with wonder and reverence, as she does with her inner life, combining and layering them in a unique visual expression. 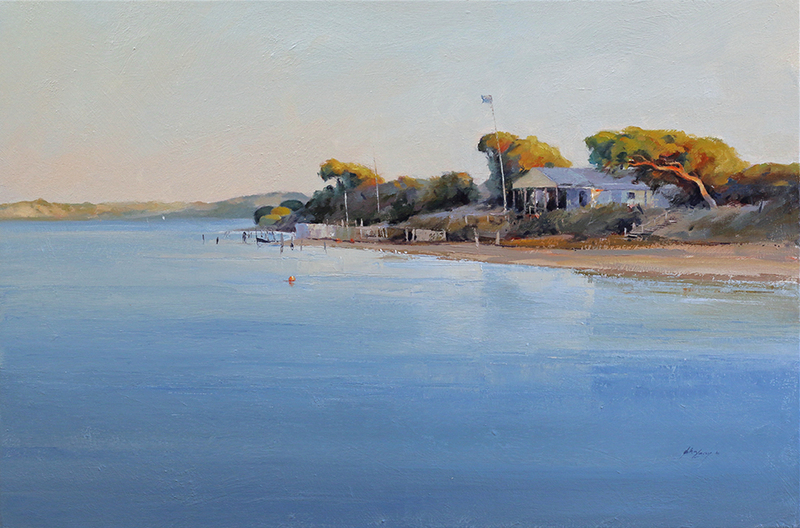 Images of Janet's stunning works exhibited and available from The Gallery coming soon. Enquiries welcome. With works in private collections throughout Australia and in over 12 countries world-wide, Michael is inspired by the magnificent views and lakes of his haven, the beautiful spa country of Daylesford, Victoria. 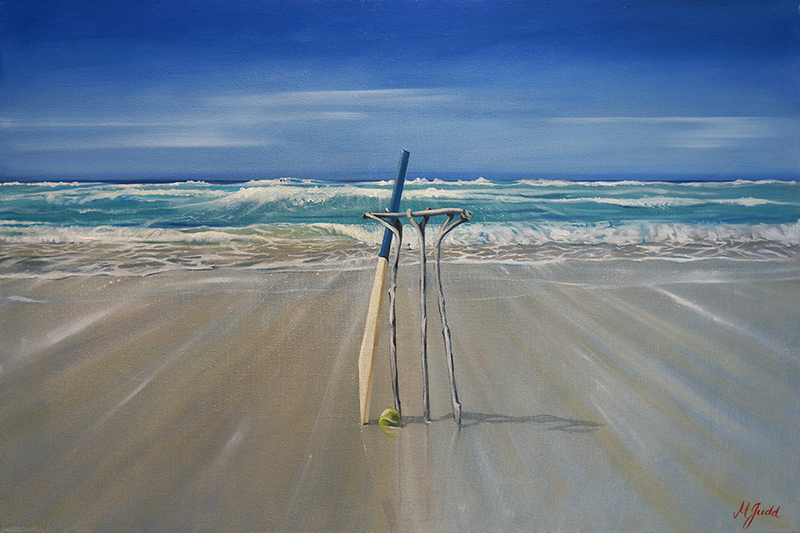 Perhaps best known for his commissioned painting of Sir Donald Bradman walking onto the MCG in 1937, with 20 limited edition prints signed by Sir Don himself, in his 22 years as an artist, Michael has mastered many different styles, using the wonder of nature’s colours as his signature. His latest series of silhouette paintings is inspired by the gold theme of the 2013 Swiss Italian Festa. Initially abstract paintings, they slowly developed into studies of random objects and thoughts that entered his head to become silhouettes. The use of different mediums including 24ct gold leaf and graphite give each piece a distinct quality, slowly revealing their mystique to the viewer. 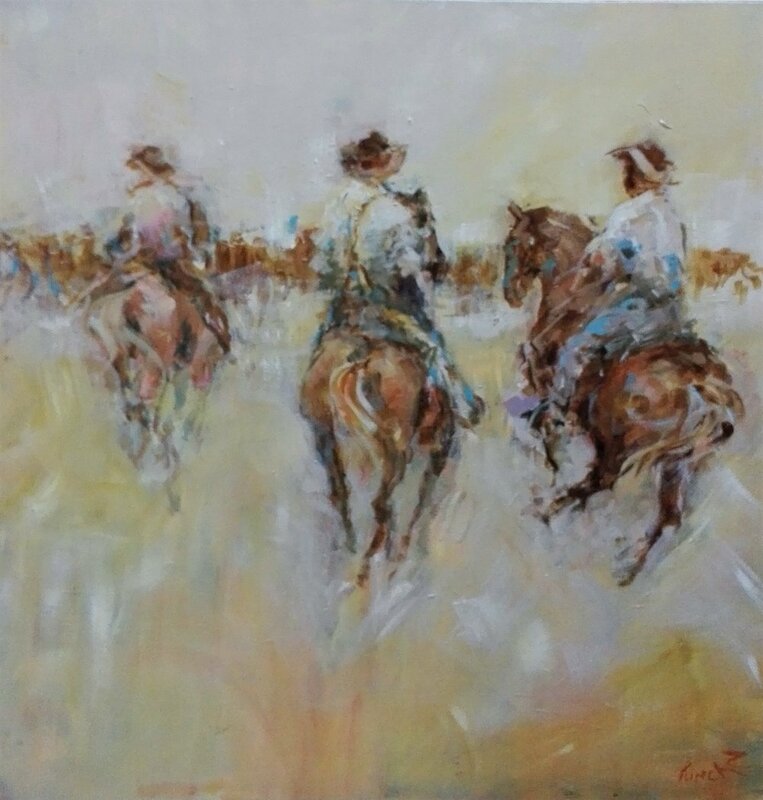 Born in South Australia, Sally's early years were spent in and around the Adelaide hills, followed by two decades living in Darwin, and the Whitsundays Queensland where she began exhibiting in 2004. 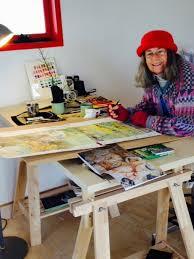 In 2010, Sally settled in Goolwa and is now an active member of the town's vibrant arts community. 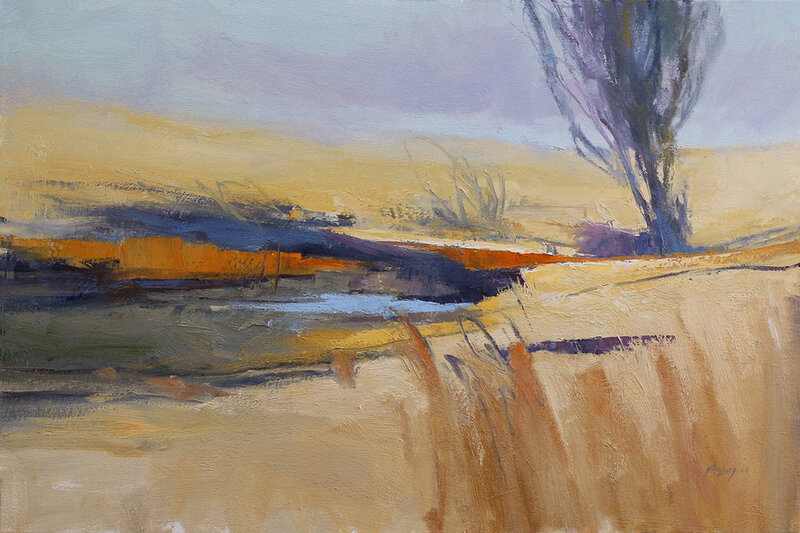 In seeking to capture the atmosphere of the landscape, Sally's surroundings - the curve of the river, glow of the late afternoon sky, changing shapes of clouds, colours of plains and hills, all become starting points for her work. The fleeting changes in light, weather and seasons all combine to produce new perspectives of the same familiar places, as time passes. 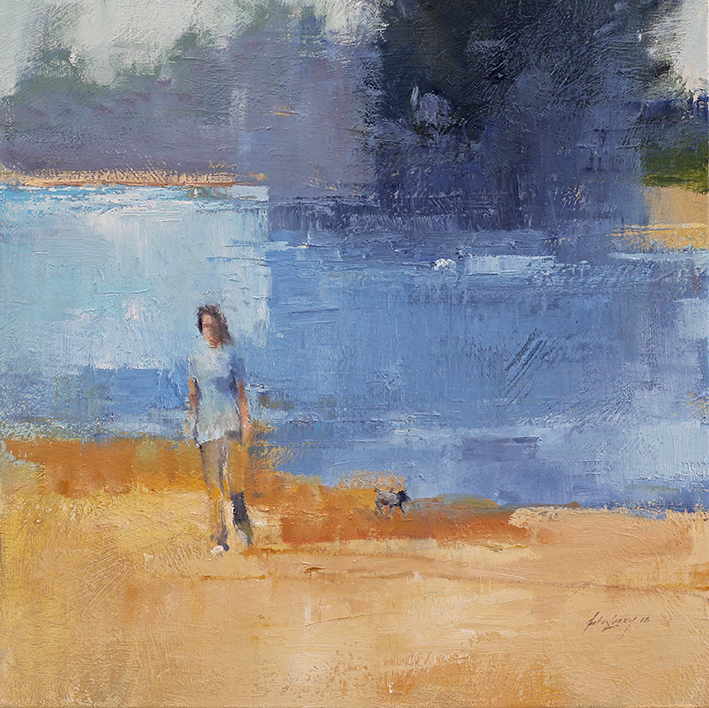 Painting mostly in isolation, with his greatest sources of inspiration being the sea and the beach, Jim Kinch has developed a strong impressionist style. This has evolved into “figurative expressionism” which is the ideal vehicle for his chosen subjects of life and action. Jim brings art into the popular arena and it is said, “he does not paint feathers, he paints flight”. 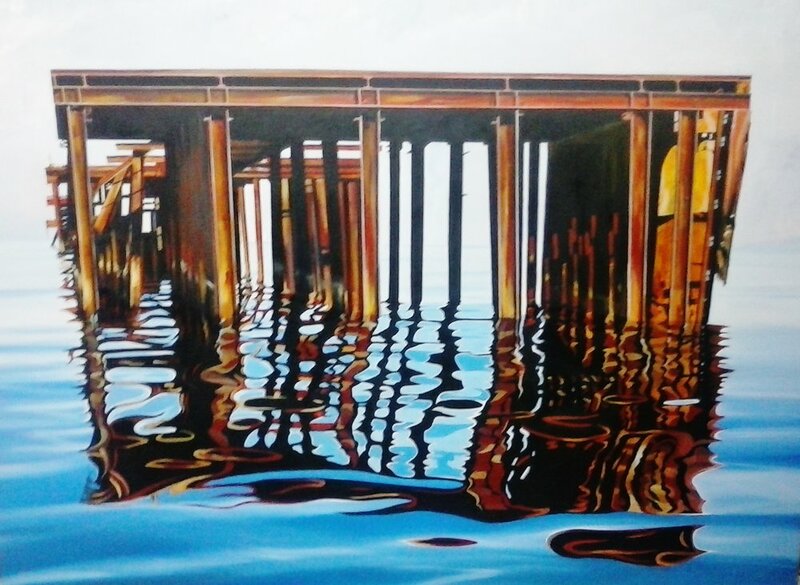 A regular prize winner since he started exhibiting in 1990 he has many interstate and overseas exhibitions to his credit including regular sell-outs in Ireland, his country of birth. 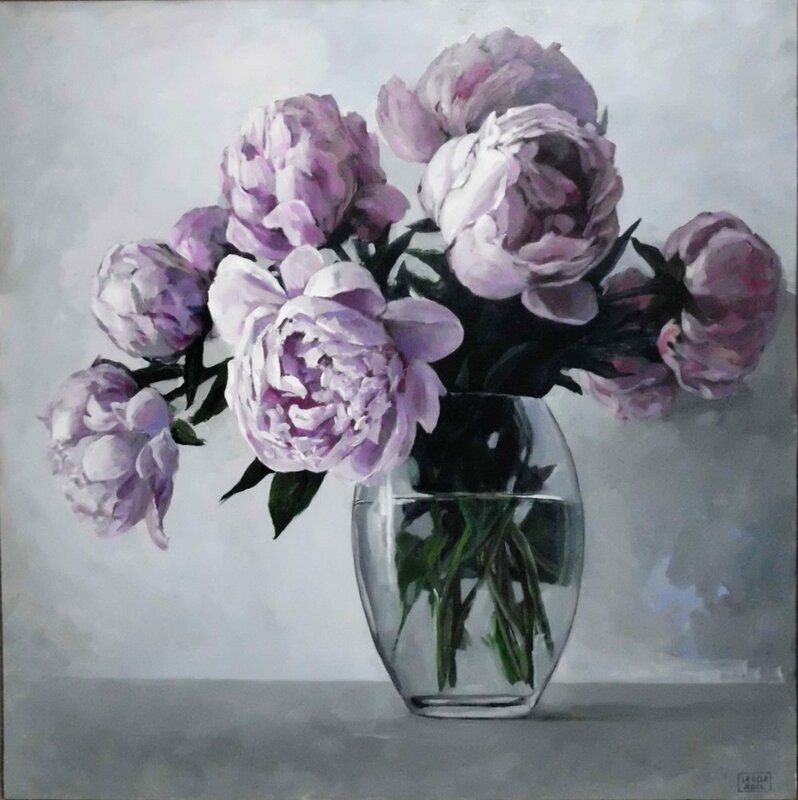 Jim’s down to earth approach, and the variety of his subject matter ensures his popularity for Artist’s Workshops and an ever increasing demand from collectors and corporate clients in a number of countries. Born in 1960, Chris Wake has been painting for more than 30 years in a unique style that explores what lies behind the faces we show to the world. Her works on display at Artworx Gallery feature subjects whose eyes follow the viewer or look sideways in unease and alarm. The tilted heads that run away from each other create a sense that the individual characters – while often depicted in festive settings – are each caught in their own private universe. With 12 solo exhibitions and more than 40 group exhibitions behind her, Wake was commissioned in 2009 to prepare a work represent ting Australia for the FIFA World Cup 2010 art collection – the largest international fine art collaboration in history. A Fine Art graduate of the Adelaide Central School of Art, her works can be found in corporate and private collections throughout Australia and internationally.